Norwegian Jewel is now all set for business after a two-week dry dock has been completed. 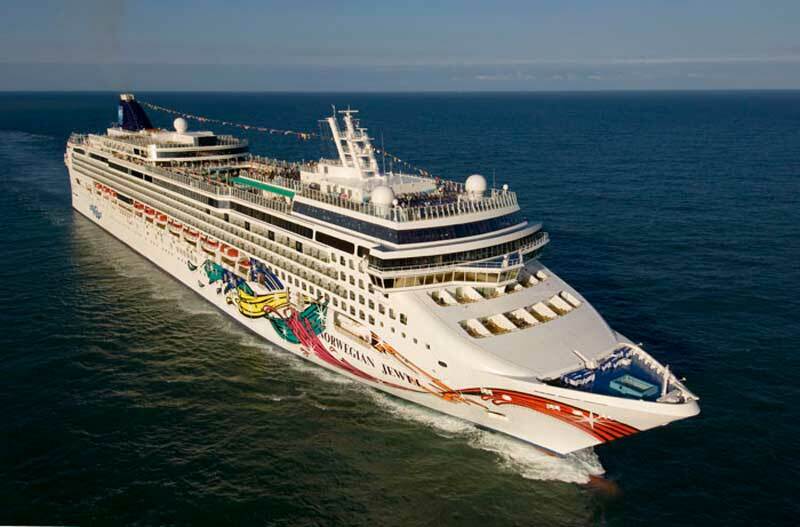 The ship will go back to regular service on May 17th 2014 and to the delight of guests will offer all the latest onboard features that Norwegian Cruise Lines has to offer. The ship is the very first to have the added O’Sheehan’s Neighborhood Bar & Grill which has proved to be a popular lounge from the Norwegian Epic and the two Breakaway class vessels. The ships Moderno Churrascaria which is a Brazilian style steak house has been moved to a better location onboard. There have also been many other new additions including Carlo’s Bake Shop which has been a huge hit on the Norwegian Breakaway and Norwegian Getaway. The ship has also had all the usual refurbishment upgrades throughout the hotel departments and outside the ship. New environmentally friendly practices have been used including new Green Tech Marine Scrubbers and state-of-the-art silicone paint on the hull. All these new features brings the Norwegian jewel inline with some of NCL’s newest ships and will also be good for when the ship begins sailing out of Houston ,Texas on October 11th 2014 once it’s completed a summer season in Alaska. Norwegian Jewel will sail from Seattle, Washington on a series of seven-day voyages so guests already booked for those cruises this summer will be fortunate enough to tryout all the new features.